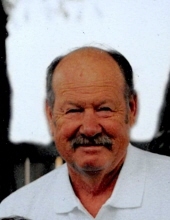 Salina, Utah - Chad Alfred Johnson our beloved husband, father, grandfather, brother, and friend passed away Sunday, January 20, 2019 in the Richfield Care Center at the age of 84. Chad was born October, 4 1934 in Aurora, Utah, a son of Von Elden and Clayola Matilda Curtis Johnson. He attended North Sevier High School and graduated with the Class of 1952. He married the love of his life Verna Lee Peterson on August 30, 1953 in Glenwood, Utah. They were sealed for time and eternity on January 6, 1954 in the Manti LDS Temple, Manti Utah. They were blessed with two sons and one daughter. Chad and Verna Lee enjoyed life to the fullest. They loved spending time as a family camping, hunting, riding A.T.V. 's, boating, riding, team penning, and showing horses. They enjoyed spending winters in Yuma. Chad loved his grandkids, and enjoyed watching them play sports. He was always their biggest fan. Chad worked many jobs throughout his life. He owned Salina Boot and Shoe, he worked at Winkel Distributing in Richfield, and Rasmussen Excavation in Salina. He loved to drive truck. He was the best handyman around and fixed or made many things that his family can treasure forever. He was a member of the Church of Jesus Christ of Latter Day Saints where he served in many callings. He was a Salina City Fireman for many years. He served as president of the Utah Appaloosa Association. Chad is survived by his beloved wife Verna Lee Johnson of Salina, his children Steve Chad (Shauna) Johnson of Riverton; Curtis J. (Lee Ann) Johnson of Minersville; Tracy Lee (Chad) Hammond of Fayette; his brothers: Royce C. (Thelma) Johnson of Richfield; McKay V. (Marvel) Johnson of Salt Lake City; Clarin (Vickie) Johnson of Richfield; Kent Johnson of Tropic; 13 Grandchildren; 29 Great-Grandchildren. He was preceded in death by both of his parents and an infant son Chad Johnson Jr.
Funeral services will be held at 12:00 Noon, Monday, January 28, 2019 in the Salina LDS Stake Center, 98 West 400 North, Salina, Utah. Friends may call for viewing at the Stake Center Sunday evening from 6:00 p.m. to 8:00p.m. or Monday morning from 10:30 a.m. to 11:30 a.m. prior to services. Chad's family would like to offer a special thank you to the staff of the Richfield Care Center for the kindness and amazing care shown to Chad in his final weeks. To send flowers or a remembrance gift to the family of Chad Johnson, please visit our Tribute Store. "Email Address" would like to share the life celebration of Chad Johnson. Click on the "link" to go to share a favorite memory or leave a condolence message for the family.